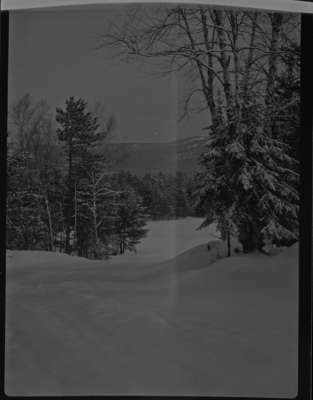 A black and white photograph of a snow scene at Byeways Lodge. Byeways Lodge, 1946, Marjorie Ruddy. Whitby Archives A2013_040_1282.